The cleaning work on Mount Rushmore has been successfully completed. 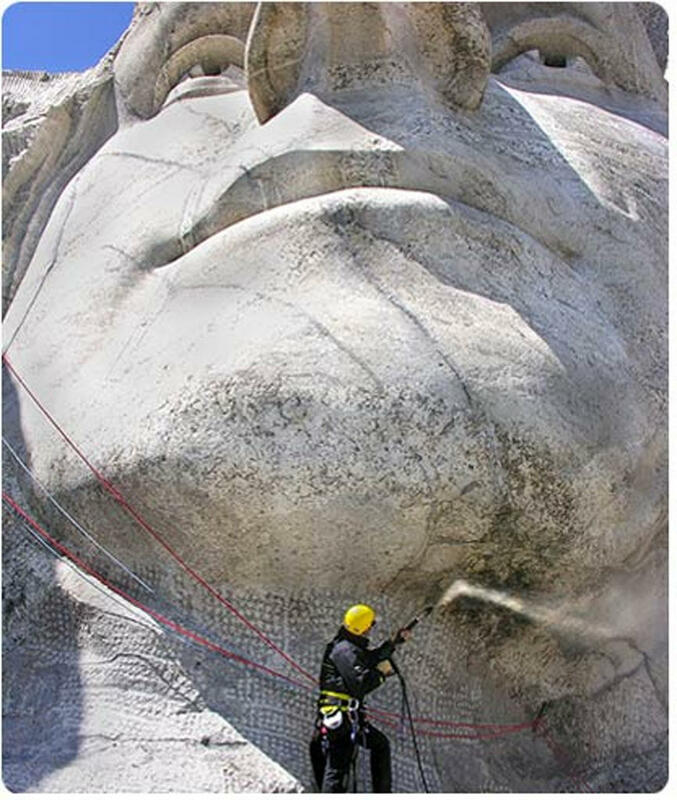 The project involved pressure washing the faces of Presidents George Washington, Thomas Jefferson, Theodore Roosevelt, and Abraham Lincoln, which were carved into the mountain more than 60 years ago. Five diesel-powered, hot-water pressure washers pumped more than 2,000 gallons of water every day for more than a month to wash down grit, grime, soot, and pollution that had begun to cover the faces. German and American cleaning crews were involved with the project, which began July 4, 2005. 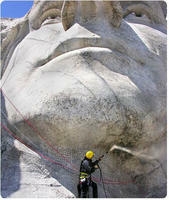 The faces, located near Rapid City, SD, were designed by sculptor Gutzon Borglum. They are more than 60 feet high and, after the Statue of Liberty, probably America’s best-known monument. Upon completion of the project, representatives from Karcher (Tornado’s German partner) told the National Park Service that they would be happy to clean the faces again in the future. Additionally, they said they would regularly inspect and maintain them.